For Book Stage, Alembic developed an online database and catalogue of used, rare, and antiquarian books with integration to ABEBooks and the global used book marketplace. 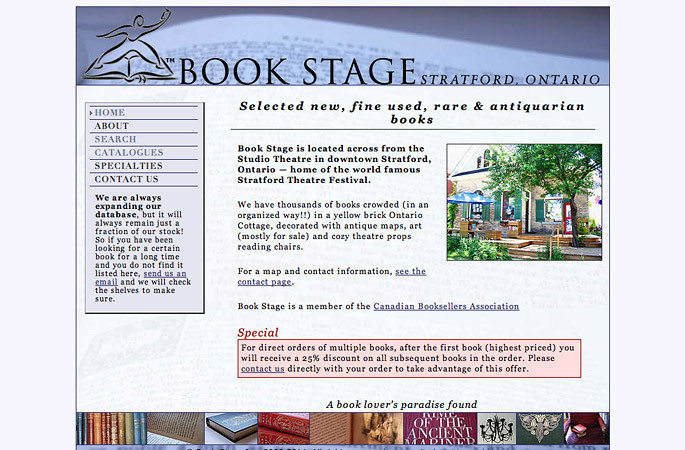 Book Stage is a used, rare, and antiquarian bookseller in Stratford, Ontario. They needed a way to reach a global market for hard to find titles while simultaneously marketing the store as an important cultural destination for Stratford Festival theatre patrons. 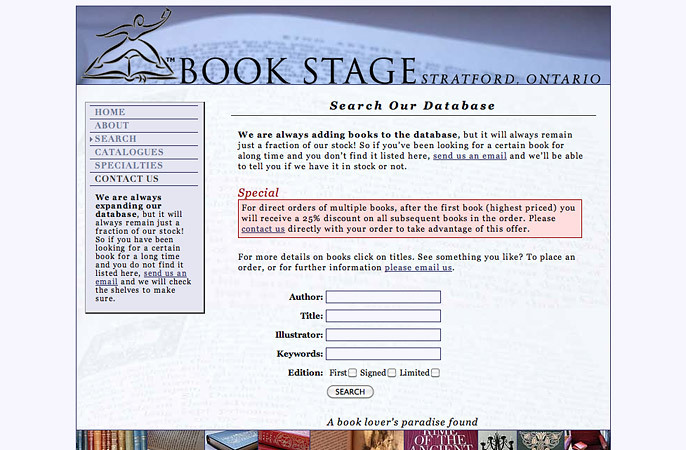 The Book Stage website includes a searchable database of titles as well as a catalogue feature that dynamically generates listings based on book metadata and custom keyword taxonomies. 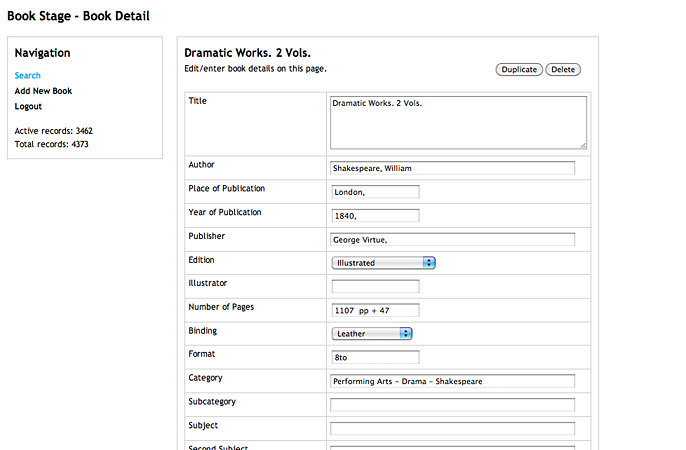 The searchable books database enables users to locate titles using several parameters, including characteristics specific to the rare book trade, such as first, signed, and limited editions. The catalogue feature leverages keyword parameters and title metadata to dynamically generate book listings based on thematic groupings. 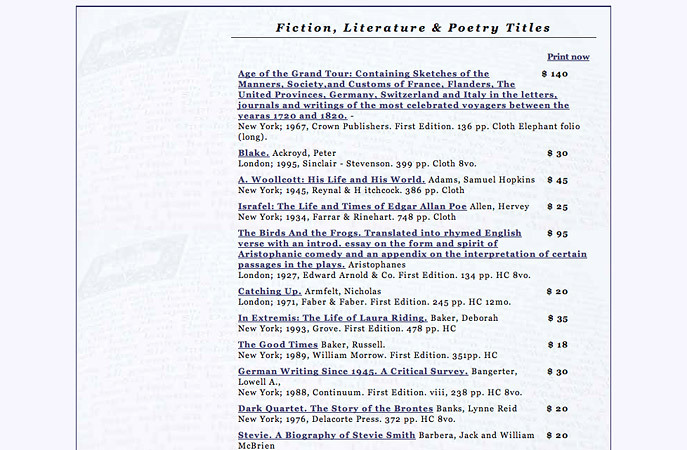 Catalogues can be quickly generated for prospective customers, or easily circulated to other booksellers. Database administration is managed through an online web application, permitting remote inventory management through a simple, intuitive interface. Database records are exported in a format compatible with ABE Books listings, expanding the reach of Book Stage inventory listings to a global marketplace.